4WD, *CLEAN CARFAX ONE OWNER*, 4WD, CLEAN CARFAX, ONE OWNER. 2016 Ford F-150 4WD EcoBoost 3.5L V6 GTDi DOHC 24V Twin Turbocharged 6-Speed Automatic Electronic At Lebanon Chrysler Dodge Jeep and Ram We Can, We can, We Can! Recent Arrival! Odometer is 9700 miles below market average! Awards: * 2016 KBB.com Brand Image Awards We are your Cincinnati/Dayton Dealer... We Can, We Can, We Can!! *CLEAN CARFAX ONE OWNER*, CLEAN CARFAX, ONE OWNER. 2017 Dodge Challenger SXT Go Mango! 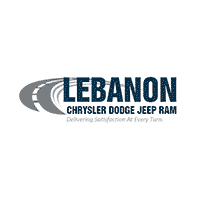 RWD 3.6L V6 24V VVT 8-Speed Automatic At Lebanon Chrysler Dodge Jeep and Ram We Can, We can, We Can! Recent Arrival! 19/30 City/Highway MPG We are your Cincinnati/Dayton Dealer... We Can, We Can, We Can!! 2017 Hyundai Elantra SE Silver FWD 2.0L 4-Cylinder DOHC 16V 6-Speed Automatic with Shiftronic At Lebanon Chrysler Dodge Jeep and Ram We Can, We can, We Can! Recent Arrival! 29/38 City/Highway MPG Awards: * 2017 KBB.com 10 Most Awarded Brands We are your Cincinnati/Dayton Dealer... We Can, We Can, We Can!! 4WD, CLEAN CARFAX. 2017 Jeep Renegade Trailhawk Blue 4WD 2.4L I4 MultiAir 9-Speed 948TE Automatic At Lebanon Chrysler Dodge Jeep and Ram We Can, We can, We Can! Recent Arrival! Odometer is 29271 miles below market average! 21/29 City/Highway MPG Awards: * 2017 KBB.com 10 Coolest New Cars Under $18,000 * 2017 KBB.com 10 Best All-Wheel-Drive Vehicles Under $25,000 * 2017 KBB.com 10 Most Awarded Brands We are your Cincinnati/Dayton Dealer... We Can, We Can, We Can!! *CLEAN CARFAX ONE OWNER*, 4WD, CLEAN CARFAX, ONE OWNER. 2017 Ram 1500 Sport Bright White Clearcoat 4WD HEMI 5.7L V8 Multi Displacement VVT 8-Speed Automatic At Lebanon Chrysler Dodge Jeep and Ram We Can, We can, We Can! We are your Cincinnati/Dayton Dealer... We Can, We Can, We Can!! 4WD, 4WD. 2015 Nissan Armada SL Gun Metallic 4WD 5.6L 8-Cylinder SMPI DOHC 5-Speed Automatic with Overdrive At Lebanon Chrysler Dodge Jeep and Ram We Can, We can, We Can! Recent Arrival! Odometer is 7940 miles below market average! We are your Cincinnati/Dayton Dealer... We Can, We Can, We Can!! CLEAN CARFAX. 2018 Jeep Compass Sport Diamond Black FWD 2.4L I4 6-Speed Aisin Automatic At Lebanon Chrysler Dodge Jeep and Ram We Can, We can, We Can! Recent Arrival! Odometer is 4862 miles below market average! 22/31 City/Highway MPG We are your Cincinnati/Dayton Dealer... We Can, We Can, We Can! !